From the bestselling author of The Sunday List of Dreams and Annie Freeman’s Fabulous Traveling Funeral comes a poignant, funny, and uplifting novel of a woman at midlife whose search for happiness within her marriage—and within herself—turns a whole town upside down. When Lucky Lipton wins a trip to Paradise—a.k.a. Costa Rica—his wife Addy hopes they will be able to turn their faltering twenty-eight-year marriage around. But on the day of their departure, Lucky fractures his back tossing their luggage into his truck. With the husband she barely knows anymore parked indefinitely on her couch, Addy decides it’s time to make big changes—and drastic choices. 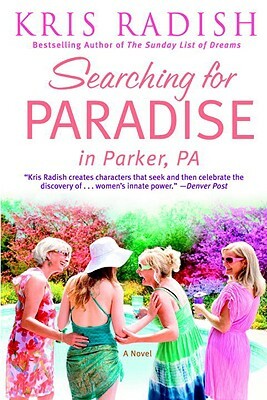 Addy begins a crusade to revive her dreams—and she takes the women of Parker, Pennsylvania, along for the wild ride. Soon Parker’s men will realize they’ll have to step up to the plate to keep their wives and lovers happy. And a whole town is about to learn that to reach paradise, you must travel through your heart—and to get there, you don’t even need to leave home.